Today I am hosting Laxmi Hariharan in celebration of her new release The Destiny of Shaitan. Check out the guest post below and make sure to enter the giveaway at the end of this post for a chance to win either a $15 Amazon Gift Card or Autographed Paperback of The Destiny of Shaitan. The Destiny of Shaitan by Laxmi Hariharan. Publication : March 17th, 2012 (Self-Published). Do you dare to be Indie? “So are you going to self-publish?” I asked my friend Mira. She spent many years polishing her manuscript, waiting for the ever elusive email from the one who would ask her to submit the entire novel for publication. Her response highlighted a much debated issue which has kept many a writer—with a burning need to be read—up many nights. To go Indie or not, that is the question. My take: If Indie movies are accepted, why not Indie books? Rob Kroese, author of the self published, bestselling, humorous, apocalyptic novel Mercury Falls and its sequel, Mercury Rises has a great analogy. Rob Kroese, author of the self-published, bestselling Mercury Falls and its sequel, Mercury Rises has a great analogy: he likens the league of published authors to an elite night club, with gatekeepers, who decide who gets in and who does not. It struck a chord with me. So taking a cue from Rob, I have put together a quiz, to help you determine whether you should give Indie Publishing a go or not. 1. Do you write to be read? 2. Is your novel multi-genre? Traditional publishers aren’t interested in crossing those chalk lines but if your writing and you cannot be pigeon-holed you just might be an Indie Author already. 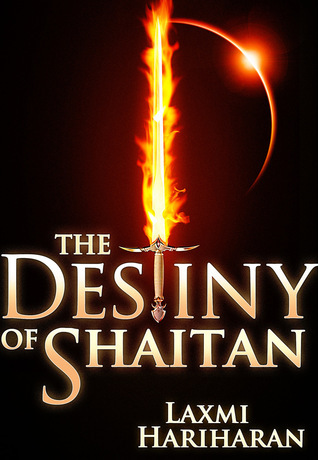 My book The Destiny of Shaitan is YA, epic fantasy, inspired by Indian mythology, for example. 3. At heart, are you an entrepreneur? Do you normally jump first and think of the consequences later? 4. Are you pragmatic about failure? Able to pick yourself up and move on to the next opportunity? 5. Do you like to experiment? Are you incapable of resisting a challenge? 6. Do you thrive under pressure, and when the odds are stacked against you? 7. Are you impatient and possibly a control freak? 8. Are you a technophile? Do you secretly indulge your inner geek? On a practical level are you at least on Facebook and twitter? 9. Are you social? Love debating with twitter-friends around the world? Do you adore your virtual home and obsess over getting your gravatar just right? 10. Do you have the courage of conviction, the doggedness of determination? Is the power of persistence strong within you? If you said yes to at least eight of the above ten, then I believe the force is strong in you. You may be among the fortunate few to take up the challenge. But wait! Before you press that enter button and send the words skimming out over the electronic waves, you need to ask: Have you been true to your text—Really? If you are still standing upright, there is more to tell. Go back, revisit, revise, rewrite, until hand on heart, you can say you have stripped yourself bare. When you have died a few deaths getting the novel to that place where exhaustion weeps in the arms of elation, then, you know all has been said. Now you have one last thing to do. Make sure your baby is perfect—every infinitesimal millimeter brushed to its Sunday best—once it’s out there you will be reborn, as your Author Avatar! People will actually read you. Many will love your prose. Some will hate it and tell you so. Can you deal with that too? If the answer is still yes, then what are you waiting for? Are you one of those brave souls who has gone Indie? If so, what do you think of my criteria? Share your opinion and experiences! Terms are as listed in the rafflecopter. It's the author/publicist's responsibility to ensure that the winner gets the prize(s). A proud Londoner, and a Bombayite at heart, Laxmi Hariharan, was born in India. She has lived in Singapore and Hong Kong and is now based in London. Indian mythology inspires her work. When not writing, this chai-swigging technophile enjoys long walks in the woods, growing eye-catching flowers and indulging her inner geek. Laxmi has written for various publications including The Times of India, The Independent, Inside Singapore, Inside Hongkong & Asian Age.Her debut novel The Destiny of Shaitan *Edition 2 releases July 1, 2012* is now available on Amazon. Her second novel The Seven Islands releases Holi 2013. You have such an awesome site, thank you for being part of the tour - you rock! Wow, this is some real different story! I so have to read this one! Thanks to the vivacious Anjana for hosting me :) writing this post helped me on my path to being an Indie author, hope your readers enjoy it too!